Join the Playdate Yoga tribe with other amazing moms! They want what you want! To connect, play, experience movement and feel amazing in their body! Finally there is a way for you attend a yoga class without having to get a sitter or leave your little one behind. You know all the stress and tension that's been building up in your back from keeping the house clean, nursing, chasing your little one around, and rushing out the door to make it on time for meet ups? Or how it feels like your shoulders are up by your ears? We haven't even talked about those hips yet, but they'll get the attention they need at Playdate Yoga with Fidel. 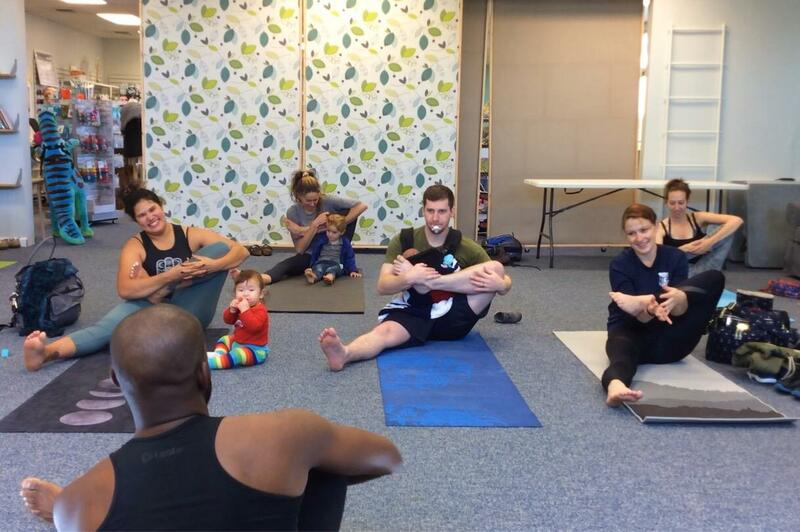 Classes are customized in the moment to the moms in the room (and the brave dads' that show). It's a NO PRESSURE and lifestyle environment. That means you can nurse your baby when they get fussy, change a diaper or let your toddler run around with the other kids in a designated play area. You experience the balance between getting enough of a workout so you feel strong in your body, but also find the balance with rest and rejuvenation so that you can take on the day with more ease. 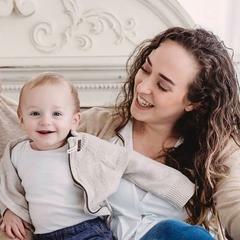 "Playdate yoga allows me to do something for myself without the worry of finding a sitter or leaving my baby. I love that I can feel good and replenish my soul in a place that I feel safe and welcome. Playdate yoga is liberating, fun, replenishing and relaxing! Definitely what every mama needs to fill a cup that is always being dipped into! " Hi, I'm Fidel Forde. I'm a proud military spouse, father of four (4-9 years old), self-care empowerment coach, yoga instructor and massage therapist. So I pretty much have you covered. I help busy parents, driven professionals, and entrepreneurs find balance and stress less so they can live more powerful, productive, and present lives. Space is limited and available on first come basis. Register today for just $10.